Threads of Peru has a new Project Coordinator! 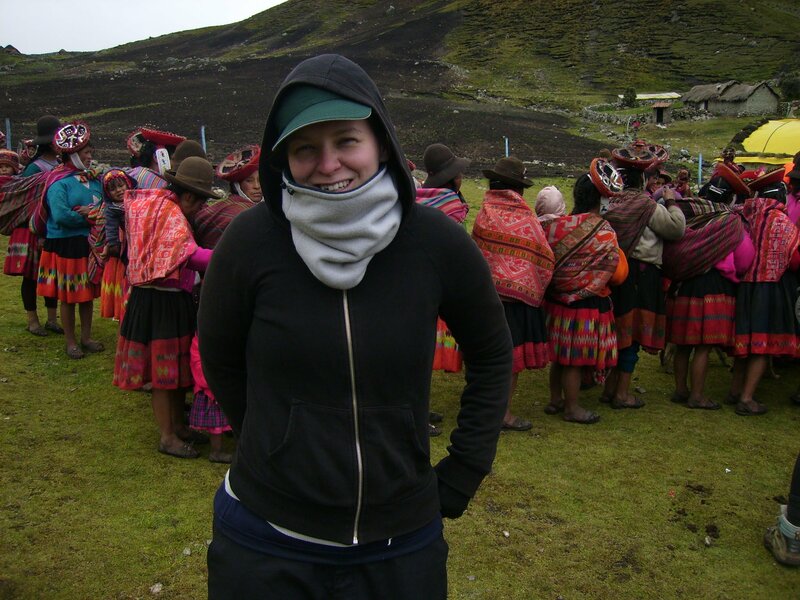 Sarah Confer has been travelling and volunteering in Peru off and on for the past 6 years. A textile conservator by trade, her passion for textiles extends beyond the storage houses and exhibit halls of museum to include the vibrant living traditions of today. She has travelled extensively throughout Peru, as well as the rest of South America, and is especially familiar with the Cusco and Sacred Valley areas. 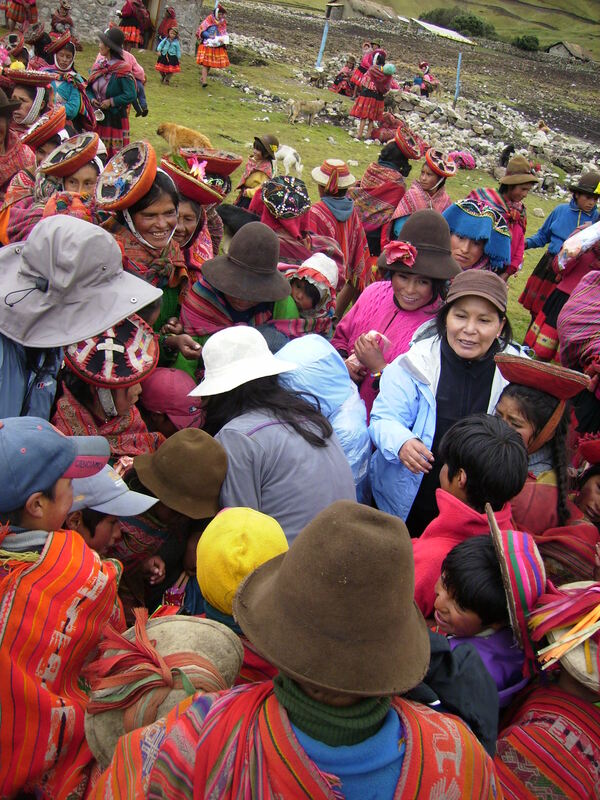 Through her experience volunteering with other similar NGOs in the area, she comes to Threads already with extensive knowledge of the traditional weaving process, and familiarity with the Quechua lifestyle and customs. She is excited to work for Threads because she shares their philosophy of sustainable development, and values the effort they make to provide training and a steady market to women in rural highland communities. It’s a win-win situation: rural indigenous women are able to earn income from practising their traditional weaving, thus helping to support their families while maintaining their traditional way of life. It’s also a win-win for the global community. And Sarah’s glad to be a part of it! Sarah helping out at the entrega in Rumira last Thursday. 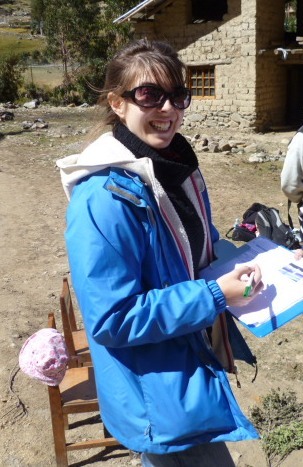 Frankie Ginnett volunteered with Threads of Peru from September 2011 to February of this year as a Project Assistant and Volunteer Coordinator. She recommends volunteering with Threads to others. I finished my volunteering time at Threads of Peru in February 2012 and have been trying to write my final blog entry ever since. It seems so hard to sum up six months of experience, then I thought how easily it would be to sum up a six month period in my own country; Family, friends, rain, and work. The truth is that it would be impossible to sum this experience up so glibly and that’s what made it so worthwhile. How can you describe the excitement at learning about a wholly different culture surviving so high up that almost nothing grows, the encounters with women whose lives have been so different from my own and that can create bright & beautiful weavings using only the materials around them, the eeriness of hiking through an unknown landscape shrouded in fog with the rain beating down on you and llamas looking at you curiously, the colonial majesty of Cusco and the breathlessness that follows you everywhere, the noise of the food markets and the combinations you never thought to eat (pumpkin and aloe juice anyone?) and the constant presence of the grassy mountains encircling the city protectively. Impossible. After having some time to consider it though I believe that’s what made my experience with Threads of Peru so valuable, its nothing I can put into words but the change I feel within myself after seeing so many new and strange things, my own horizons have expanded and I look at the world through different eyes. Throughout these new experiences I was also working in the Threads Office, working for and with people who were actually passionate about what they were doing, open to new ideas and always encouraging if things didn’t work out as planned. The support from my co-workers really helped in the times when home seemed very far away and Cusco almost overwhelming, which is why I would like to thank them now. So thanks to Amanda, Ariana, Adam & Angie both for accepting me as a volunteer (despite some shaky interview timings!) and for making my volunteer period so rewarding. Looking to visit Peru this year? 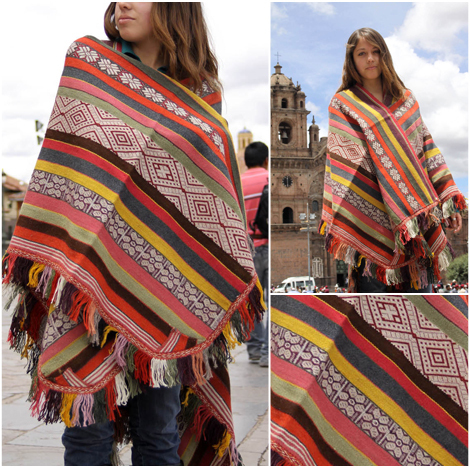 Threads of Peru has been working with its supporter, the trekking company Apus Peru for four years now – $15.00 of each Apus Peru tour goes directly to Threads of Peru and from us it goes towards helping the women in the communities. For this reason we always encourage people that are planning a trip to Peru to take a look at the Apus website –http://www.apus-peru.com/especially since they are now offering tours with 10% going towards Threads of Peru! 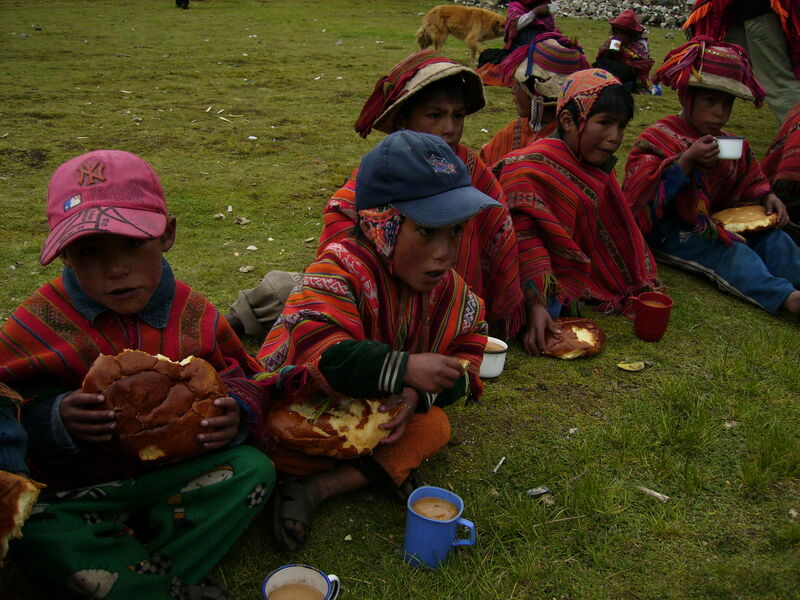 New Philanthropic Tours to support Threads of Peru work! Its both excting and challenging to create a good itinerary for clients. Apus Peru try to do it every day for their clients, as we design holidays that really become “trips of a lifetime” by working with people and finding out what they are interested in. Now, Apus Peru have designed some itineraries that are genuinely unique and bring out the best in Peru so that visitors can see a different side of Peru – while contributing to a very worthwhile cause – Threads of Peru. 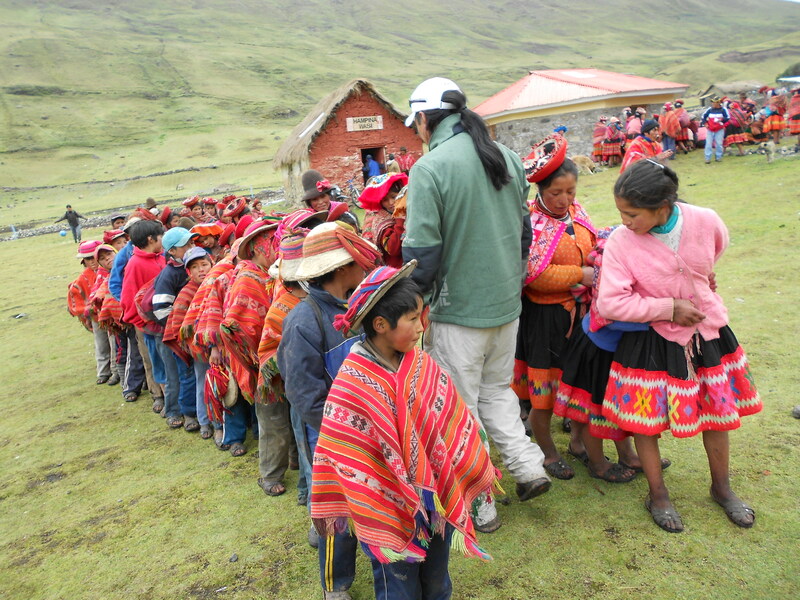 If you take these tours, you will directly support the people of the Andes! 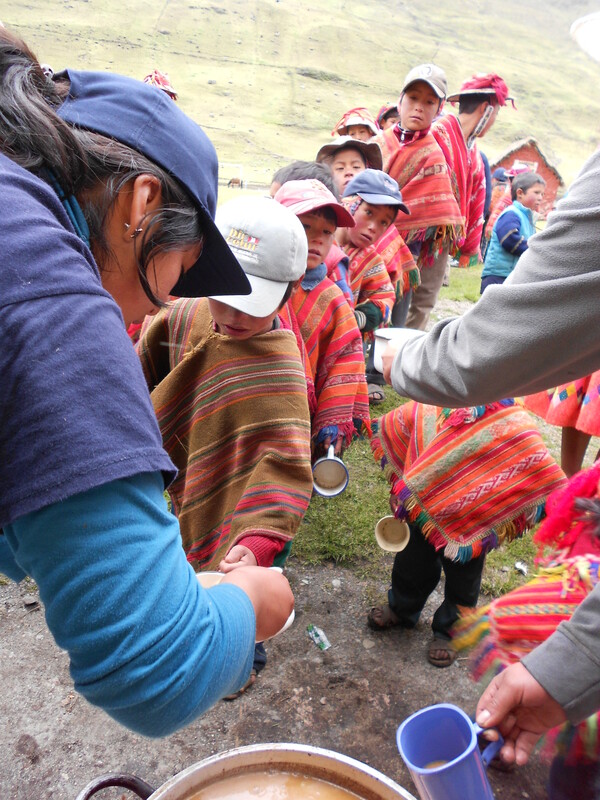 10% of your overall tour price is donated to Threads of Peru. 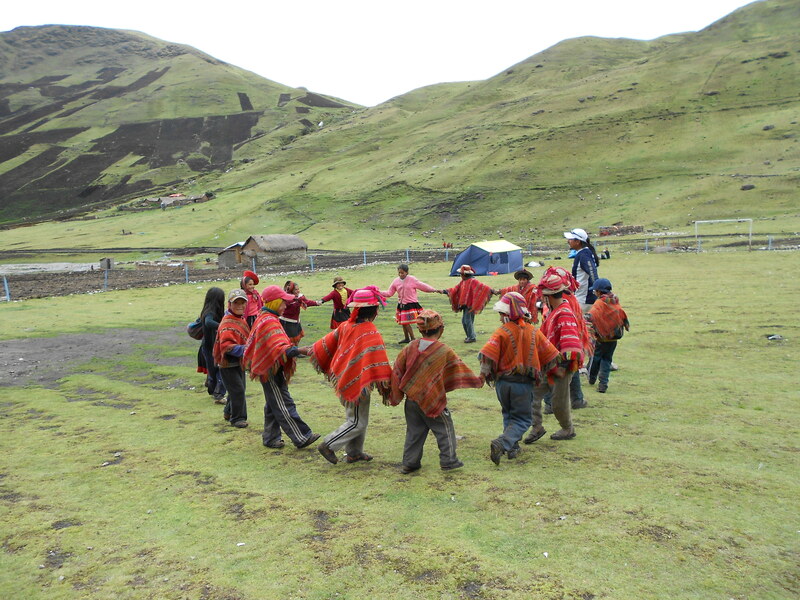 Andean Culture tour. (14 days), this tour takes you from Lima to Lake Titicaca, and then onto Cusco where you will have the chance to visit remote villages (either by trekking or transport, depending on your fitness) where Threads of Peru works. These tours have been created so that you can visit one of the many unique festivals that occur in Cusco, and are often not known about by the vast majority of visitors. 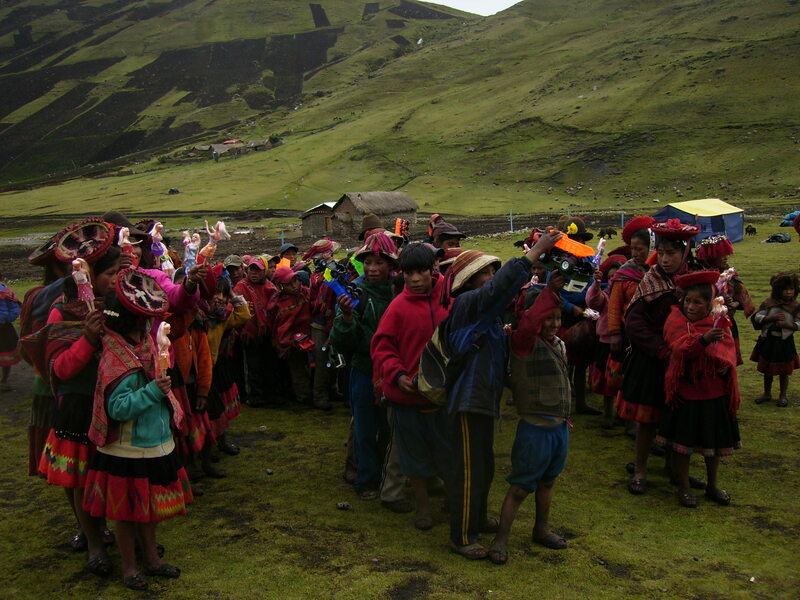 This tour provides a fascinating insight into the culture of the Andes. 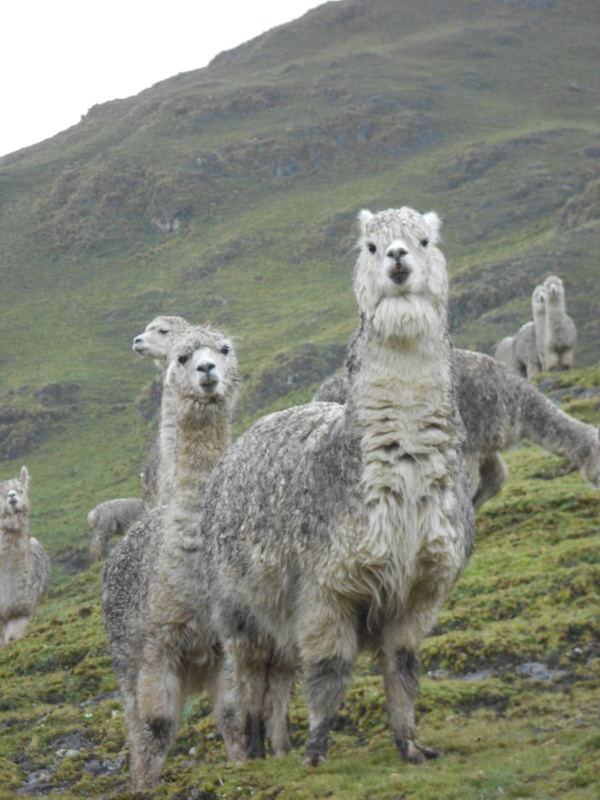 Peru Family Adventure (11 days) The name says it all – with this tour, families can take part in a whole range of adventures together, from easy downhill mountain biking, getting to know llamas and alpacas, to seeing where honey comes from, as well as learning more about how children in another part of the world live. While a visit to Machu Picchu is a highlight, kids often love the jungle excursions in the Amazon where they can see many beautiful native animals. Adrenalin & Adventure in Peru (12 days). This is a tour for those who LOVE challenging themselves – and what better place to do it, than in Peru? 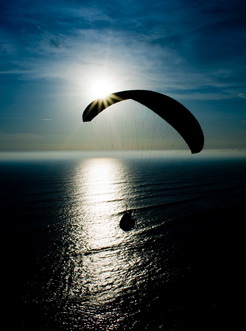 In a short 12 day trip you can paraglide, surf, raft, hike, ride, climb, rappel, and zipline!!! It’s a tour for those who don’t necessarily have experience, but like to learn something new, all the while surrounded by the amazing culture of the Andes. 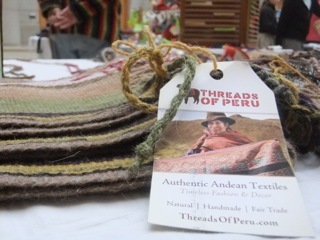 Threads of Peru in the USA! 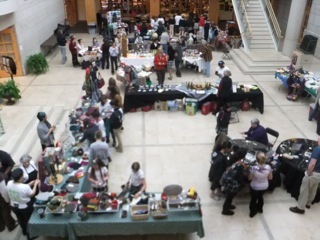 Working at the table to sell some Threads products! 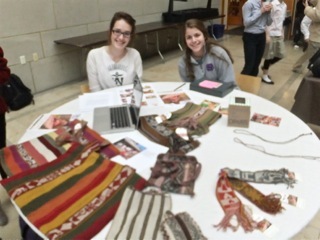 Here at Threads of Peru we would like to thank Amelia Visnauskas & Maddy Masaryk from Hathaway Brown School for their hard work in helping to sell the items and for raising awareness in their school! Thoughts at the beginning of 2012 “How did I end up writing the New Year message?” I wonder, as I ponder whether a New Year’s message is about the past or the future… and whether its even a New Years message, when you are writing it more than 30 days into the New Year. Regardless, I forge on deciding a New Years Message can be about both the past and the future. 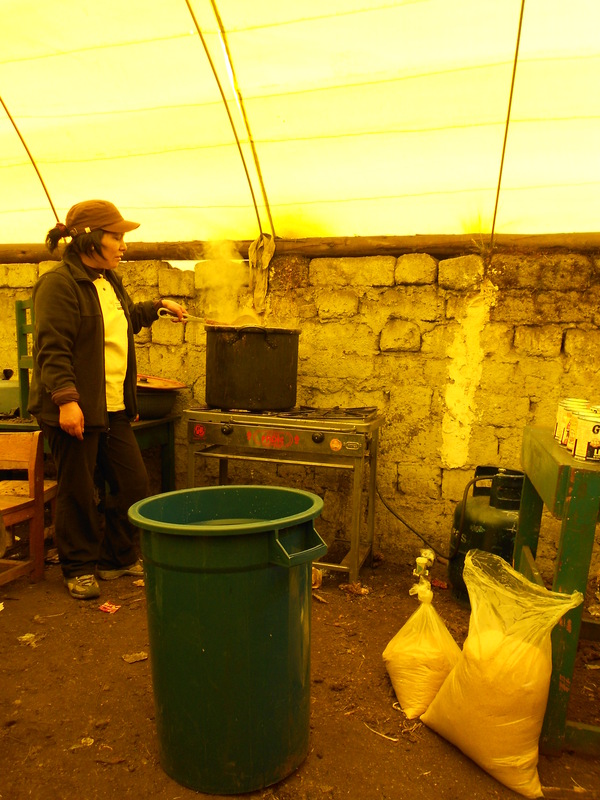 2011 was a big year for us, as we employed a fantastic Cusco based Project Manager, Amanda Zenick, and were blessed with the talents of two great volunteers, Fani Karaivanova, Textile Project Assistant & Community Liaison and Frankie Ginnett Assistant Volunteer Coordinator & Project Assistant who have all contributed to advancing the project considerably. The idea of having more people “hands on deck” is to relieve the pressure and hours worked on the founders, who are still completely voluntary. What actually happened is that the Founders moved onto new projects, including spreading the marketing of the project further! This year our Ebay store was absolutely beautiful, thanks to the design talents of Angie Hodder and Adam Foster Collins, and of a number of photographers in Cusco, including volunteer Lynn Dao. In 2012 we will be expanding into an Ethical Community store and hope in the not too distant future to have our own store on our website! We also should make special note of our patient Master weaver, Daniel Sonqo who put in a sensational year’s work, enduring our requests for different styles and dimensions, and then transforming these requirements into beautiful weavings with the women of our different weaving groups. 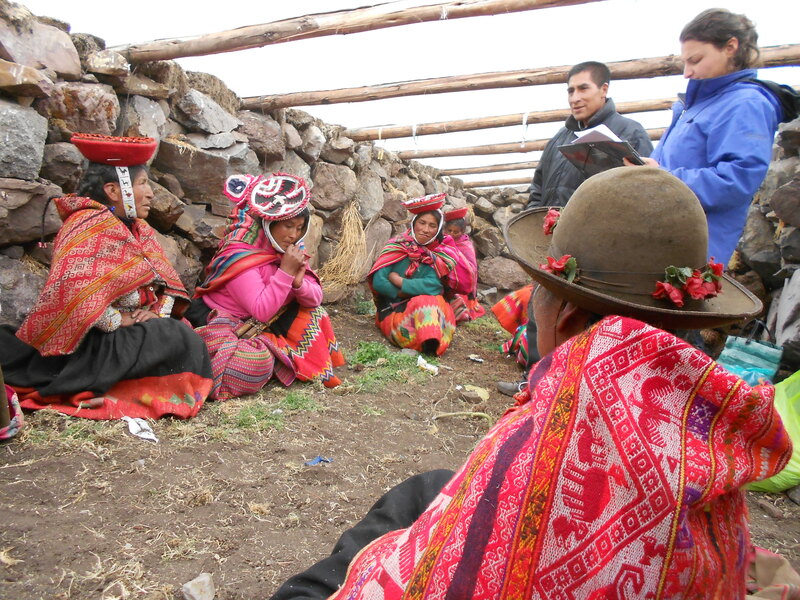 Here you can see Daniel giving a talk to the women in Chaullacocha at the pedido, he is asking them what they would like to weave. Due to the heavy rain this talk takes place inside the greenhouse! As I look back over the year, there are many small and large successes, but in short – we have achieved a lot and have a lot of people to thank, not the least everyone who “put their money where their mouth is” and supported us by buying a fair trade weaving. 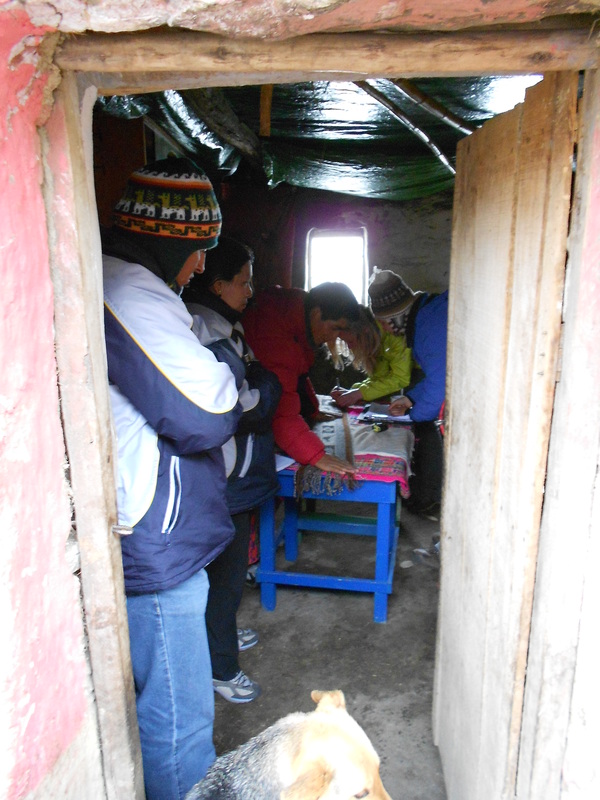 Each year the Project takes a weather directed hiatus for several months (January and February) as it’s difficult, if not impossible, to access the communities where we work. So currently we are busy planning, budgeting and dreaming about what we can create for the project in 2012. In general terms – we would like our women to continue improving their weavings, and for us to sell more of their weavings, which will in turn bring a better quality of life to their remote communities. An example of one of the beautiful ponchos made this year by the women we work with. 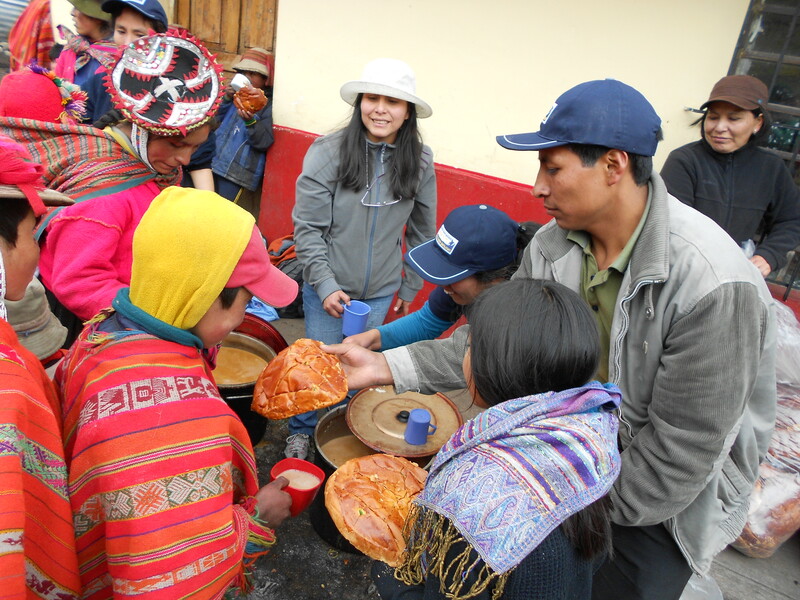 Every year in December Threads organizes a Chocolatada in Chaullacocha, the remoter of the two communities we work with, along with Apus Peru, a responsible trekking company which helps to fund our project. A Chocolatada, as you might be able to guess from the name involves preparing a large amount of hot chocolate, which is shared out amongst everyone along with fresh bread buns. This is a form of spreading a little Christmas cheer to everyone in the community! When we set out in the morning (3.30am!) for the long drive up through the Sacred Valley we don’t know what kind of conditions to expect, although I heard so much about the rainy season in Cuzco before arriving, this year has been extremely dry so we are hoping that we will be able to drive all the way to Chaullacocha. However the combination of 11 people in one two-wheel drive van carrying enough hot chocolate and bread for 60 people along with the mud roads means that we have to stop around a two hour walk from Chaullacocha. Although we all get out and push, the edges of the road are literally falling off and rolling down the hill side so we decide walking is probably the smarter option. We set off on the hike and although the weather is wet and windy the scenery more than makes up for it, it’s quite eerie walking through the deserted and silent landscape but then you turn a corner to find yourself face to face with a llama! The llamas themselves are utterly unmoved by these encounters. When we reach Chaullacocha bedraggled and hungry we set to work straight away cooking up the Chocolate in HUGE pots over little portable stoves, I can’t see how it’s going to work but pretty soon there are chocolatey fumes in the air and all the children are running around in excitement, their cups clean and ready in one hand. 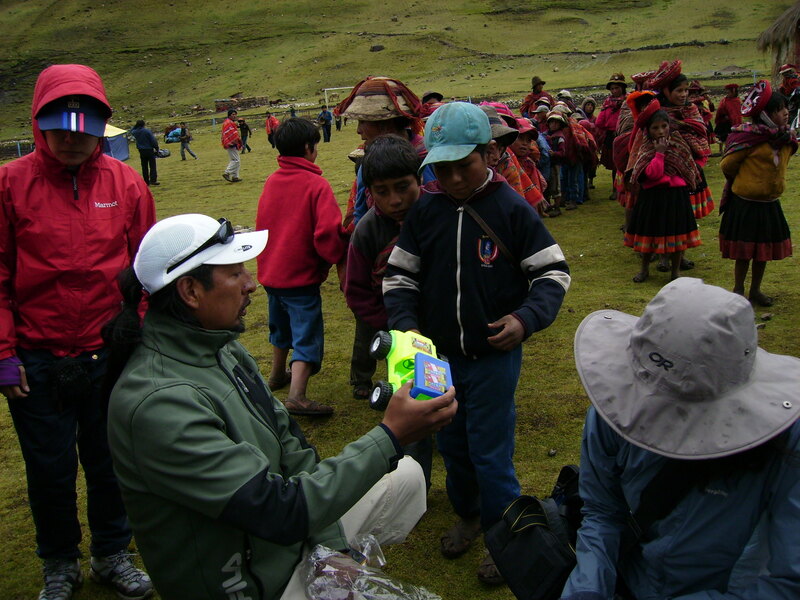 To try and distract their attention, Willy, one of the guides from Apus Peru organizes games for them, even though I can’t understand the Quechua instructions I can recognize the games from my own experience, cat and mouse and then later oranges and apples. The children playing cat & mouse in the schoolyardPlaying oranges and apples! All games stop when two enormous steaming pots are brought out filled with the creamy hot chocolate. A line quickly forms, all the children jostling each other to try and see the pots, even the grown men and women look excited although they hide it a little better than the children! It’s a hectic next thirty minutes ensuring that everyone gets a cup and a bread bun to eat, luckily we have brought plenty so we can satisfy even the children coming back for thirds, and there’s still enough to spare when curious people from the neighbouring villages drop in. Everyone gets a big bread roll to eat too! Thanks to the generous donations we receive, we were able to buy a Christmas present for every boy & girl in the village this year, trucks for the boys and dolls for the girls. The children have all seen the large sacks being carried in and are waiting excitedly to see what’s inside them. From the point of view of an outsider it’s quite difficult not to compare my normal Christmas at home to the one we try to provide here. At home my nieces and nephews normally get around 10 presents each year, they unwrap one, say ‘cool!’ and then put it down so they can concentrate on opening the next present, compared to their blasé attitude its really heartwarming to watch the reaction of each child in this community. They approach with a concerned look, then a shy smile as the present is brought to them, then when they hold the present and know it’s truly theirs the massive smile breaks out and they run off shouting to their friends and holding their present close to them. The other volunteers get involved with handing out the presents and the shouts and yells are deafening! As a special gift this year, thanks to Tianna Meriage-Reiter and her husband Yuri we were able to give clothes to everyone in the community, for the young mothers especially this was a wonderful gift and I liked that we were able to give something to everyone in the community, even if it was a hat for their baby or just a hot drink on a cold day. Every crams in to collect their new clothes! As we set off on the long hike back to the car we were all exhausted, cold and dirty, however for the first time this year I felt that elusive Christmas spirit and excitement which as an adult is so hard to recapture, I think we all felt it as we had done something, something which Christmas is really all about – sharing what you have with others, and making other people happy. Apus Peru & Threads of Peru would like to thank all the participants in this years Chocolatada, special thanks to Jerzy family for their contribution, again to Tianna Meriage-Reiter and her husband Yuri for donating the much needed clothes, to the Apus Peru clients who generously donated their time on the day and from year-round donations to Threads of Peru.